It’s Tuesday already! The pebble has increased in numbers to 17 pebbles. Yep, I only did 4 this week Shame on me! But I have a very good reason. 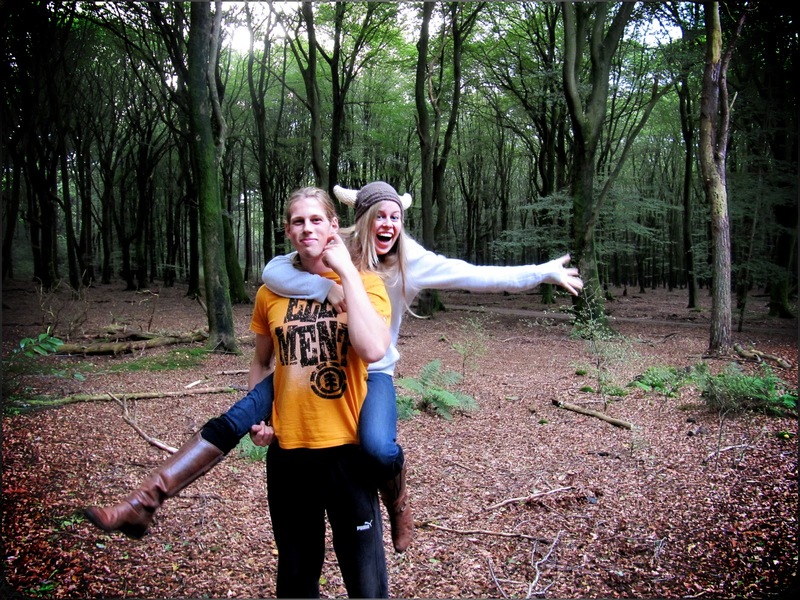 A lot of distraction this past week, we had a holiday here in Holland! What better way to celebrate autumn than with having some free days. Free days is great, but it didn’t provide us with a lot of ‘free’ time. I had a little mom and me time (which was very necessary, I see her so little since I starting living together with my B-friend). We had a little baby-sitting day with my cute nephew (he is now 10 months) and it went well! *Mr. L. and I are not really baby persons yet*. 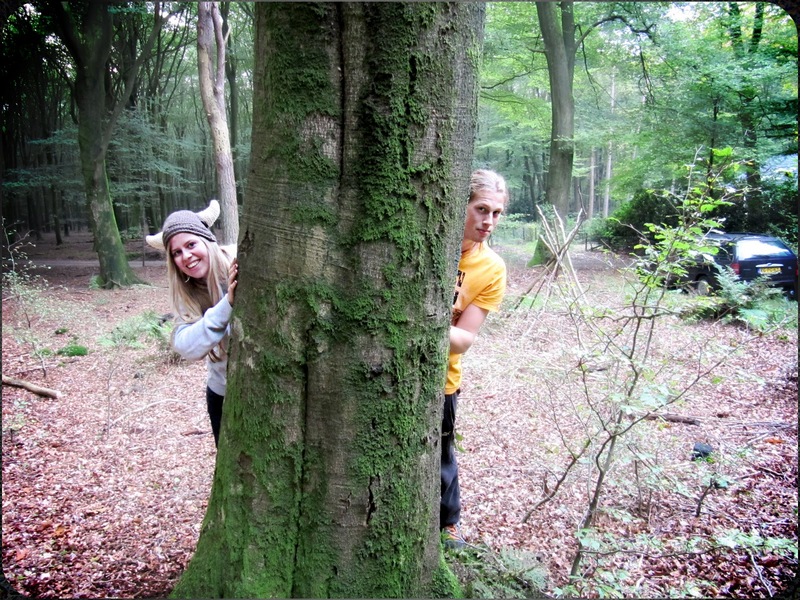 Next to these nice events we had one very special day, we went to the forest with my parents, brother, uncle, aunt and kin. We went to Putten, a cute little town with a lot of nature surrounding it. We go there every year. 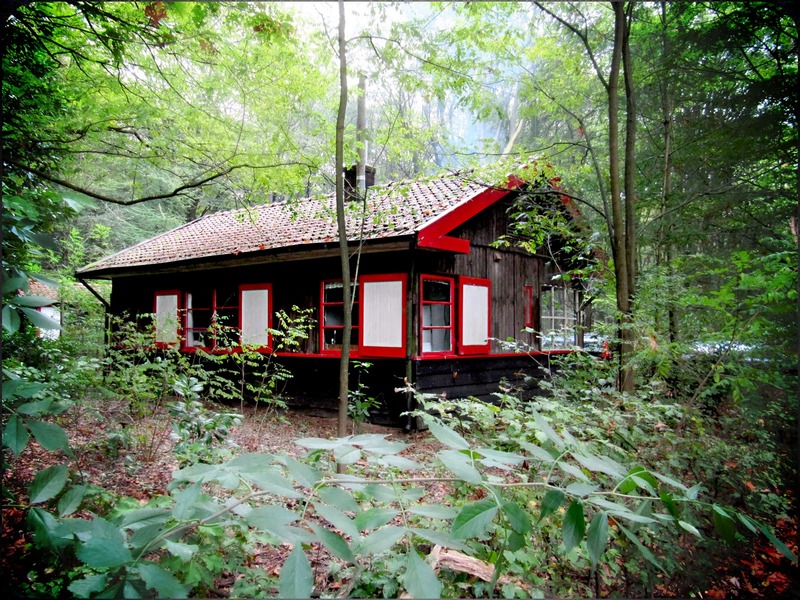 The wooden cottage looks like it comes straight from a fairytale. 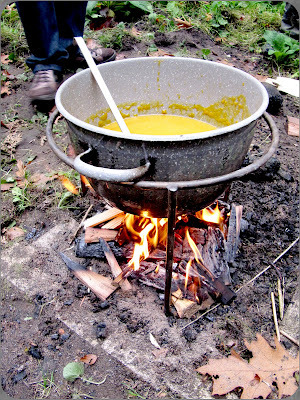 We made some pumpkin soup on the fire. Do you see the Viking hat? I made that one with a combination of patterns. I will try to find some time to put it on paper. In the second picture I sort of attacked my bro with the intension of knocking him over...I failed....miserable haha. I look a little like a horse, but I thought it was a good picture to show the spirit of the day! We had great fun. So a lot of activities going on, but there was still time to snuggle on my sofa with a little project. But it wasn’t crochet I was most busy with, I started knitting again! 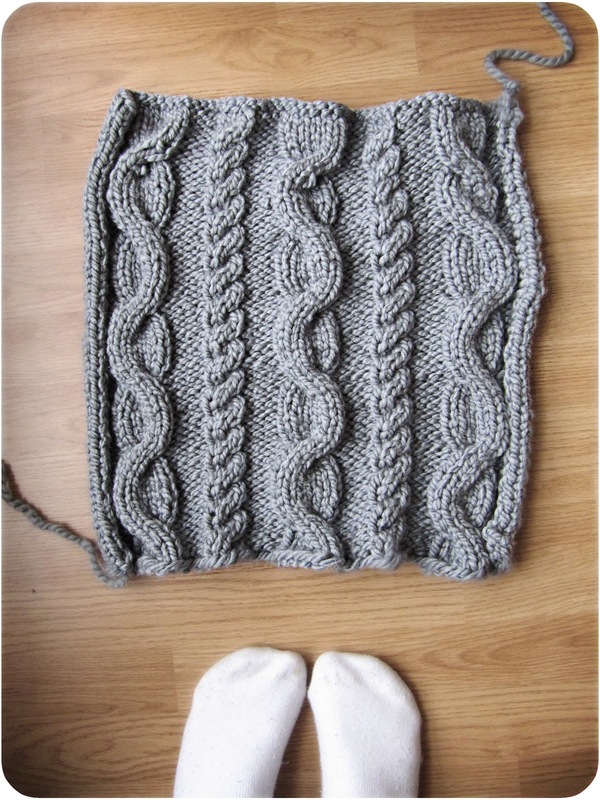 I went browsing on Ravelry and I knew I wanted to make something with cables. They have such a sophisticated feel to them. So I started to make a pillow cover based on this pattern. I only make a front with yarn and use fabric for the back. I haven’t found the right fabricyet, so not really a tada. But it won’t be long! 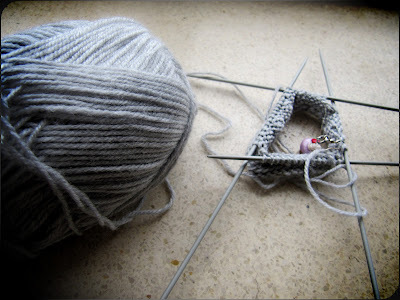 Since this went pretty well (I never worked with cabels before, so I was a bit proud), I tackled another ‘scary’ knitting project….Double pointed needles! Aaaaaah, they are so scary! Working with two needles is already double the amount I used to work with and now working with FOUR?! But I really, really, really have wanties for warm mittens like these…and they can only be made with circular or dpn’s. I'm not sure if this will work out, but I’ll keep you posted on the progress of this project. Sigh, I think I will continue my stripy granny blanket tonight. So easy, so fast! Thank you for all your lovely comments and support! Check here for more inspiring One a day projects. WOW - I love the Viking hat - looks like a great trip too. One of my Year of Projects goals is to make something using cables as I haven't tried them yet, so I may need to bookmark that pillow too, it looks adorable! That cabin is awesome! The cable pillow is going to be beautiful. Have a great day! Looks like you had a lot of fun! Love you new project. I have never seen crochet pebbles before. And your pillow is amazing, I wish I could knit too. Love your pebbles, and your hat and pillowcase. Your such a busy girl looks like u had a fan week though. Love your knitting your so clever! I wish I could knit. Looking forward to seeing the end results. Sounds like your hols were full. The cabin looks lovely and outdoor soup very impressive! I love all your projects, the pebbles are great and your cable work is super clever. Knowing how nice your things are, I reckon you'll be whizzing away on those DPNs before you know it. Have fun! What an awesome week. I love your hat! All the pictures are fantastic. 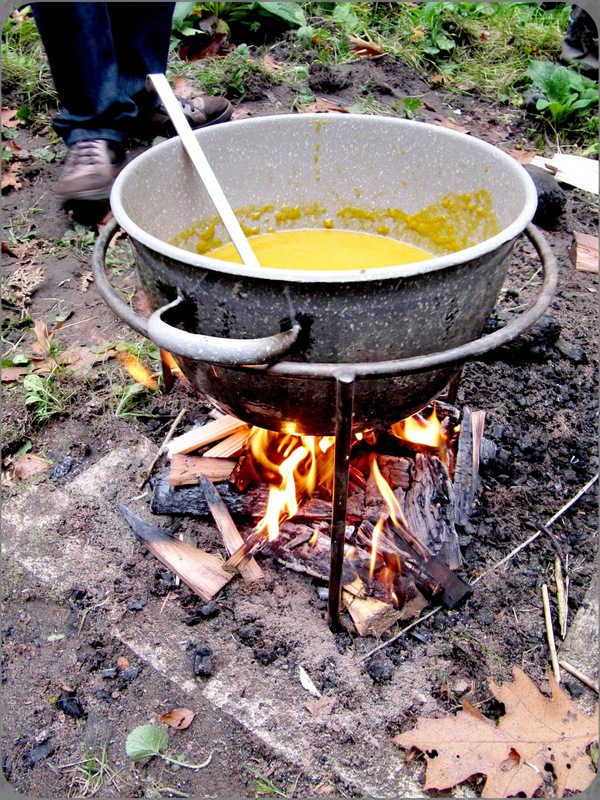 What a great way to make pumpkin soup outdoors. I wanted to jump in the screen and come and join you all. 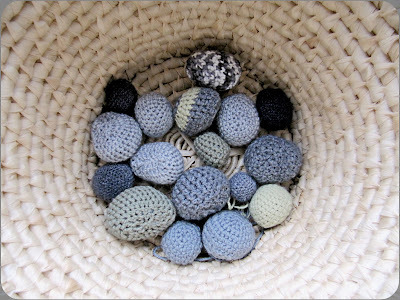 ;-) Loving your knitting project and your pebbles are looking very cute! lovely cottage, I love your photos! and at least you worked on a few rocks & other knitting too! looks like you had a great break and such a beautiful cabin in such lovely surroundings. Love the cable knit. 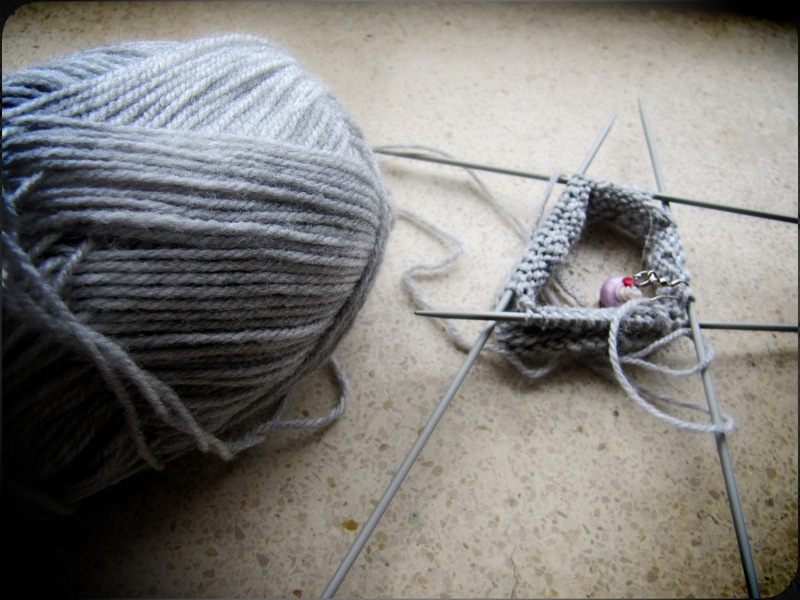 Knitting is one thing I'd love to be able to do and just can't. Wow looks like you had a great lil holiday, I love the viking hat my little boy would love on of those! It looks like you had such great fun during the holiday :) That viking hat is awesome!! Your projects are all looking lovely, I really need to get more wool to continue my projects!! Your pebbles look so good, I like the stripy one. I love the cushion, your cables are great. I would like to try a cable pattern. Was it easier than you thought? It looks like you had a great time! That viking hat is very cool!